How much do Lyft drivers earn an hour? It’s not much. There’s been a great deal of debate over how much drivers actually earn working for companies like Uber and Lyft. 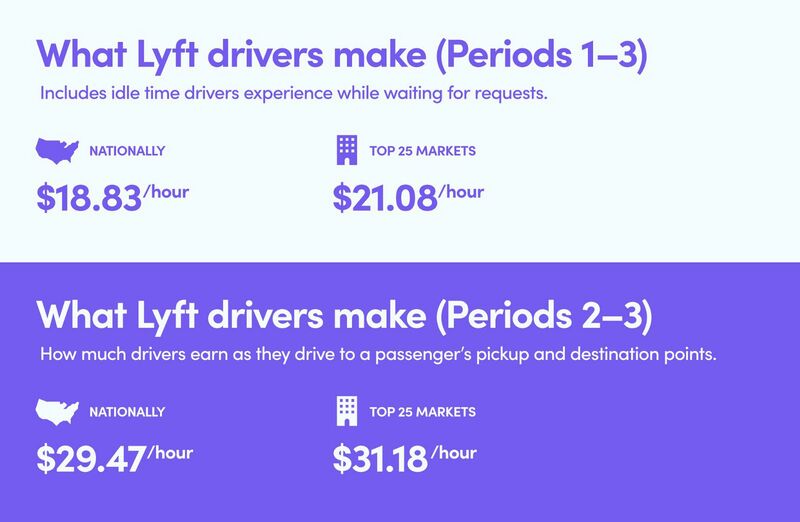 Now, Lyft is bringing some clarity to the conversation around how much drivers earn on an hourly basis. Lyft says that driver work generally breaks down into three sections: turning the app on and waiting for requests, driving to pick up passengers, and driving passengers to their destinations. The ride-hailing company says that since drivers can generally do whatever they want during that first period — driving, working for another app, or nothing at all — it shouldn’t count toward a driver’s hourly earnings. In that case, just accounting for periods two and three, Lyft drivers’ median earnings are $29.47 an hour nationally and $31.18 an hour in the company’s top 25 markets. The company also wants to be fully transparent. So it also shared its estimates that cover the first period of time, which is turning on the app and waiting for requests. After all that gets factored in, Lyft says drivers’ median earnings are $18.83 an hour nationally and $21.08 an hour in the top 25 markets. Obviously, this doesn’t take into account driver expenses, such as insurance, fueling, cleanup, and other costs associated with ride-share driving. Lyft says it prefers Harry “The Rideshare Guy” Campbell’s estimates of $3–$5 an hour. Lyft’s statement about driver earnings comes on the heels of a slew of new announcements from Uber, including a redesigned app for drivers and an overhaul of the company’s safety protocols.